As it has just been announced, Michael and Steve won yet again, another film festival award for their work on Hunger. 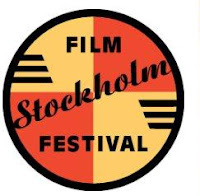 At the Stockholm Film Festival, Steve won as Best Director and Michael won for Best Actor. I need to tally up Michael's wins thus far to highlight just how well he has been doing in the film festival circuit, to rally up to the big nominations. This year's festival jury was chaired by Jorn Donner and included Elin Klinga, Sharon Swart, Karin Mamma Andersson and Erik Richter Strand.In giving the top prize to "Frozen River" the jury gave Hunt credit for "a film that treats a socially important subject with unusual sensitivity." The award for best directing debut was given to Steve McQueen for "Hunger", a film which the jury deemed helpful to "understand and identify with both sides of a violent conflict. "The jury gave an honourable mention to Jean-Stéphane Sauvaire for "Johnny Mad Dog" in the category best feature for having "highlighted the plight of children engaged in armed warfare." Zuzana Bydzovska won the award for best actress for her role in "Country Teacher. "Michael Fassbender won the award for best actor for his role in "Hunger." I'm anxious this cold Sunday morning as the British Independent Film Award winners will be announced today, in a matter of hours really, and I strongly believe that Michael will win his first major prize. Additionally, here in the states, the Golden Satellites nominations will be announced today and over at Awards Daily, they are excited about these nominations as they are fun, bold, quirky, and eerily close to the Oscars. Apparently the founders of the Golden Satellites, the International Press Academy, branched off from the Golden Globes, hence their fondness for the word, Golden. But they were created to contrast the 'corruption' of the Globes and have been slowly earning respect over its 13 year history. So, since they are international in flavor, I'm hoping they give some love to Hunger also. I will update FF later today with the BIFA winners, and the Golden Satellite nominations as I believe Hunger will make a great showing. I'm off to see Quantum of Solace shortly, and I want to come back to Fastastic news about Michael! Update #1 3:30pm EDT: The Golden Satellites group has never heard of the film 'Hunger'. Screw their incompetence! Next! Well pooh on the GS. I think that's four awards for Michael, if we are keeping track. It's so cool! I hope Michael spends time in L.A to get some work after Basterds. Hey, anything happen at Troika? Yeah the GS are clueless, but there are more important nominations to come forth. Maybe Michael will hang out in LA, or go to NY even as he needs to do some US 'Hunger' pimping this month, it's crucial. And I'm sure the TPTB have informed him of how important it is. I must be losing it again. I could have sworn I commented here yesterday. In fact I even remember my word verification graprop!